When my daughter was 15 years old we began a routine that all parents dread—driving lessons. We would go to the business park on Sunday afternoons and drive through the parking lot, since it was mostly empty. Every n ow and then I had to grab the steering wheel to keep her from hitting a light post or say, “brake, brake, brake!” with increasing volume and intensity. With each lesson my apparent felt need to take control decreased as my trust in her increased. Still, the day she first drove off alone was tough. My love for her meant that I wanted to be by her side to take control should the need arise. But that same love led to an even stronger impulse—a desire to trust that she was ready and to show that I believed in her. At the risk of being overly simplistic, “love” involves, at least, the desire to act for the betterment of the beloved. It genuinely seeks the greatest good for the other. Sometimes love leads us to action: the good may mean taking the wheel (and no, I have not heard that song). As a husband, parent, and friend I can think of dozens of examples of love being active. Love calls us to lift up, patch up, and clean up those we can. But sometimes love also calls us to refrain from acting. It calls us to give others the freedom to live, to learn, and to make mistakes. Love led me to be hands-off and sit quietly while my daughter made turns that I would not have made. The difficulty comes in having the wisdom to know when to be active and when to be passive—when to take control and when to be uncontrolling. The relationship between love and control is a curious one. Paul seems to note the tension between the two when he writes that love both “always protects” and “always trusts.” Protection seems to suggest that a lover takes some kind of control—often by sheltering and shielding. 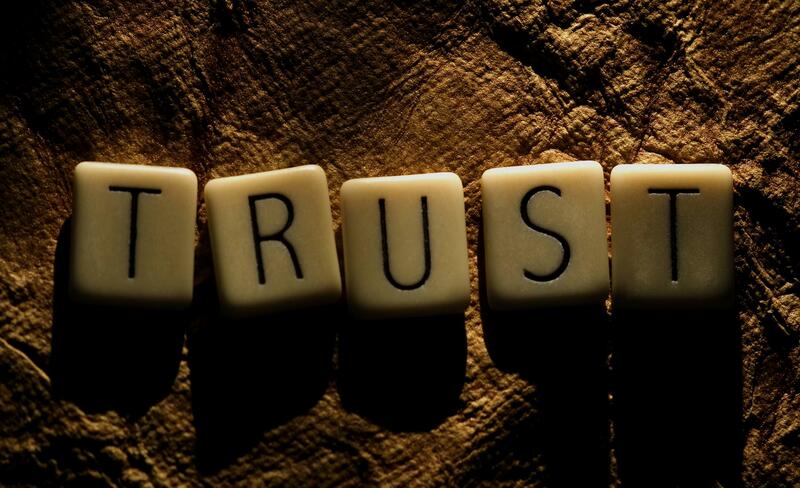 Trust, however, means a lover gives up control, giving the loved one freedom and privacy. Trust means to give up power over the other, to give them the control. Yet both of these impulses, to protect and to trust, can most certainly be born out of love. In fact, trust is the key factor in the act of relinquishing control. Faith is a hallmark of an uncontrolling love. Think about the times in which you had a strong impulse to control a situation. Whether you loved the persons involved or not, I bet your desire to control was because you did not trust those around to handle what might happen. Perhaps you were worried that the eventual outcome would not be best for all parties involved. While the desire to take or give up control could obviously, and tragically, be set in selfishness, it is often motivated by love. Yet the decision actually to give up any or all control naturally comes when we trust those around us to do what we believe is right. Healthy love wants to empower the other, to let him or her grow and flourish. I contend that God’s love is uncontrolling because love calls God to trust. God has faith in this creation. I understand Tom Oord’s reasons for concluding that God does not “give up” control; namely because God’s loving nature never allowed God to have control in the first place. I grant there is a lot to be said for this approach. However, what I am emphasizing is that God’s love might be uncontrolling in another way—not because love never controls, but rather because love leads God to seek out ways to trust. Love may sometimes cause one to seek to control situations, but real love would not want control to be the norm. The stronger impulse of love, what love looks for long term, is to trust and to have faith. The Bible tells us that God is seeking those whom God can trust. Not only are we called to faith and faithfulness; we are also called to be trustworthy. The Hebrew Scriptures highlight God’s covenants with both individuals and Israel. Covenants, by their nature, require trust by both parties. Job is a story depicting God as a deity who bets on the faithfulness of his servant. God has faith that Job will be true. The New Testament also offers examples of uncontrolling trust. Most of us are familiar with the parable of the talents, but have we heard sermons on how God has entrusted us with these “talents?” The parable suggests that God gives us what God believes we can be entrusted with. The entire arc of scripture can, I suggest, be read in this way: acting in love, God has faith in this creation and is asking for that same love and faith in return. As a relational theist, I believe that God desires and has created us for relationship. It is, of course, possible to trust those for whom we might not feel a sense of emotional love. I am thinking of my auto mechanic. It is also possible to feel a strong love for those whom we do not trust. Addiction is a problem in my family, and I honestly love siblings who battle with these addictions, but I do not trust them. However, love ultimately moves us to trust those whom we love. Love pushes us to find ways to have faith in those whom we love and with whom we desire relationship. Relationships of love are good: relationships of loving faith are better. Perhaps there is more to God’s uncontrolling nature than love alone. Maybe, along with love, God has hope and faith. And perhaps when all three are present, only then can we really understand God as relational. I love the idea that God has faith in us, Curtis! Thanks Tom! I really appreciate you inviting me to write this. This is so beautifully put. What a wonderful perspective, Curtis! Duncan, thanks for reading my essay and for the encouragement. A lot to ponder in such a short well-crafted essay! I want more relationships of loving faith. Thank you, Curtis. Very well stated! I can’t think of trust in relationships without thinking of being vulnerable. God’s trust in us in the way you you present it makes me think that God is vulnerable. That makes me love God more. Thanks Kip, I too like the idea of vulnerability. I appreciate you reading and replying. Thank you Curtis! This seems to be a necessary evolution and progression out of the straight-jacket view of God that I learned about 30 years ago. Thank you both, Tom and Curtis! Thanks Paul, I always appreciate your encouragement. Curtis, I love the idea that God has faith in humanity. I think this add a much needed layer to the conversation . With that said, can you help me understand how it is you can say that love is uncontrolling when you make room for situations where God can actually control a situation. I understand that faith/lack of faith determines how God responds, but is it not be true that faith cause you to act contrary to what you are feeling? Hope this makes sense. Bryan, thanks for the comment and question. Honestly, I don’t understand the last half of the question. I don’t think faith “causes” us to do anything. It may be an explanation or a motivation for for an act. Confused about the feeling part. You and others may disagree but I hold that God’s love in uncontrolling of persons and their wills even though may exercise some influence or control of a situation. If I grab the wheel when my daughter is driving, that is not controlling her even if it is exercising control of the situation. (There is obvious much that can and should be said about cause v. influence and so on.) Please keep in mind, I am not offering divine faith as a theodicy. It may play a part in one but it alone hardly explains suffering. Ok, “cause” might have been the wrong word 😉 Let me give this another shot. It seems that you are saying that overtime, as there is divine/human interaction, trust is built and God’s intervention is needed less and less. I guess I’m trying to understand how you define faith/trust. Is divine faith informed by a rational assessment of a situation, an emotional assessment, or a combination of both? God may rationally choose to trust in any given situation but God could also choose from an emotional response. It seems to me that whether trust is rational/emotional, trust inherently leads one to act in positively contrary ways. On what basis do we assume that God should trust in only some situations and not all? I’m not asking from theodicy standpoint, but rather it is an inquiry into divine/human interaction. When my blog is posted, you may gain some insight into why I am asking this. Hope this helps.